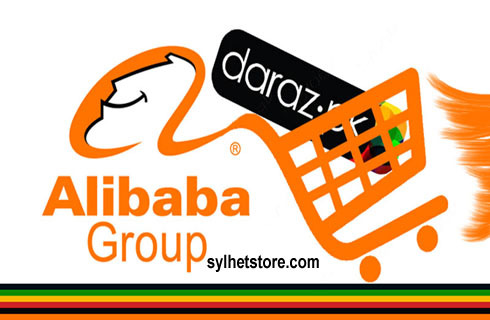 In a surprise move, Alibaba, the China-based global eCommerce giant, has acquired Daraz Group, a leading e-commerce company in Bangladesh and several other South Asian countries. It is good news that Chinese tech giant Alibaba has expanded its footprints in Bangladesh after it snapped up online marketplace Daraz, in a development that can be viewed as a game changer for Bangladesh’s e-commerce landscape and South Asian countries. Financial details of the transaction, which includes Daraz’s entire business in Bangladesh, Myanmar, Sri Lanka and Nepal, were undisclosed. The country’s e-commerce market is worth about Tk 2,000 crore (about $250 million) and the e-Commerce Association of Bangladesh’s projects that it will become a billion-dollar industry by 2021. Shayantani Twisha, public relations and communication manager of Daraz Bangladesh confirmed the acquisition. According to her Daraz Bangladesh will be a part of Alibaba.” The acquisitions include Daraz operations in Pakistan, Nepal, Sri Lanka, and Myanmar. The operations will continue under the Daraz brand name. “Daraz will be able to leverage Alibaba’s leadership and experience in technology, online commerce, mobile payment and logistics to drive further growth in the five South Asian markets that have a combined population of over 460 million, 60% of which are under the age of 35,” a press release from Daraz Bangladesh said. Recently, Alipay, another the Chinese mobile payment giant owned by Alibaba Group, signed a deal with of the mobile financial services provider company bKash Limited to purchase 20% of its shares. They also signed a strategic partnership for enhancing bKash’s technological capabilities. The deal, which comes on the heels of Alibaba’s purchase of 20 percent stakes in bKash, suggests Bangladesh, a country with a population of more than 160 million and rising internet adoption, has properly piqued the Chinese e-commerce titan’s interests. Alibaba is trying to expanding its hand into South Asian markets. In the last few months it has bought stakes in major Indian and Pakistani digital payment services. By Alexa metrics, Daraz is the most popular eCommerce site in Bangladesh. According to the company, it serves five million customers in South Asia. Daraz was founded in 2012. The ecommerce site, along with several other internet-based services such as Lamudi and Foodpanda, were launched by the German venture capital company Rocket Internet. Bjarke Mikkelsen, Co-CEO of Daraz, said: “With the transaction of Daraz has found its natural home in the Alibaba family, and everyone is proud to carry out part of the mission to make it easy to do business anywhere’. Together with Alibaba, Daraz are ready to empower entrepreneurs in the region and to fulfill its promise to offer its customers the best selection of products with a high level of convenience. All of this would be supported by a best-in-class technology platform, a strong logistics network, and a vibrant community of ecosystem participants. It is surprising that about 2 million online purchasers are active in Bangladesh, said market experts. Thanks to the deal, Bangladeshi customers will be able to purchase products directly from Alibaba’s vast marketplace without paying the high shipment charges and customs duty. Let’s see the result. Amozon another eCommerce giant won not stay away. It also trying to enter Bangladeshi markets and we are not so far to hear the news that Amozon will enter our Bangladeshi market. Bangladesh government should regulate necessary rules and regulation in this regards because online marketing getting popular in Bangladesh very fast because it is safe and convenient.